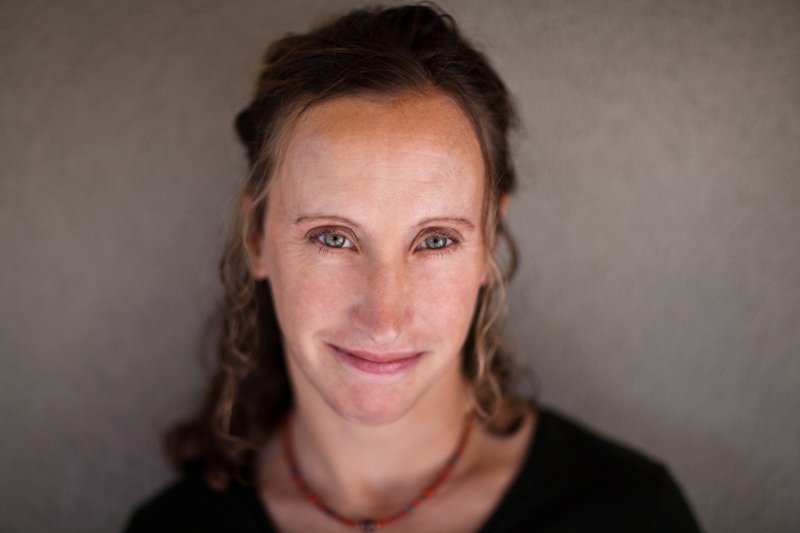 Hannah Nordhaus was last here in May of 2012 in a Q & A about The Beekeeper’s Lament, a PEN Center USA Book Awards finalist, a Colorado Book Awards finalist, an Indie Next Pick and on and on. I’m thrilled to have her back, on publication day, for American Ghost: The True Story of a Family’s Haunted Past, her account of her probe into the life of her great-great-grandmother. In Nordhaus’ hands, American Ghost is a sweeping tale sprinkled with elusive bits of uncertainty. As she did with Beekeeper’s Lament, however, the reporting and the final account are riveted to the facts. Question: The Beekeeper’s Lament probed a world with mystery and puzzles, but the narrative stayed close to scientific analysis and the people working to understand bee colonies and how they function. American Ghost makes no bones about venturing into a more mystical topic but the story relies on the facts of Julia Staab’s life and the facts of the world she inhabited. Did you feel a need to adjust any of your own pre-conceived ideas about the mystical aspects in order to start work on this project and dive into the reporting? Hannah Nordhaus: Being a science journalist, and being a generally empirical person, I had to suspend a whole lot of disbelief to embark on this project. When I started working on American Ghost, I had it in my head that the ghost/psychic/dowser/ghost-hunter stuff would be comic relief. 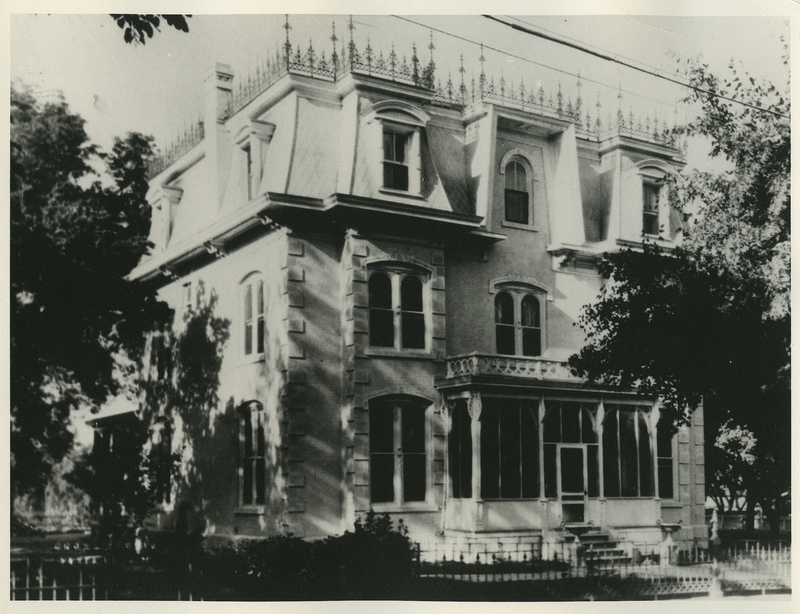 The story of Julia Staab was a fairly grim one, and I thought a little ghost-hunting levity would be a nice break from the sadness of Julia’s story. But it’s hard to spend hours with people who really care about what they are doing and continue to think of them as mere jokes. The psychics I met truly believed that they were talking to Julia’s spirit, and I had no sense at all that they were hucksters just telling me what I wanted to hear. There was a sincerity there. Who was I to question them? As my visits to the spiritualists progressed, I also began to realize that these encounters added a quotient of real human feeling to my search, and that this was quite helpful. 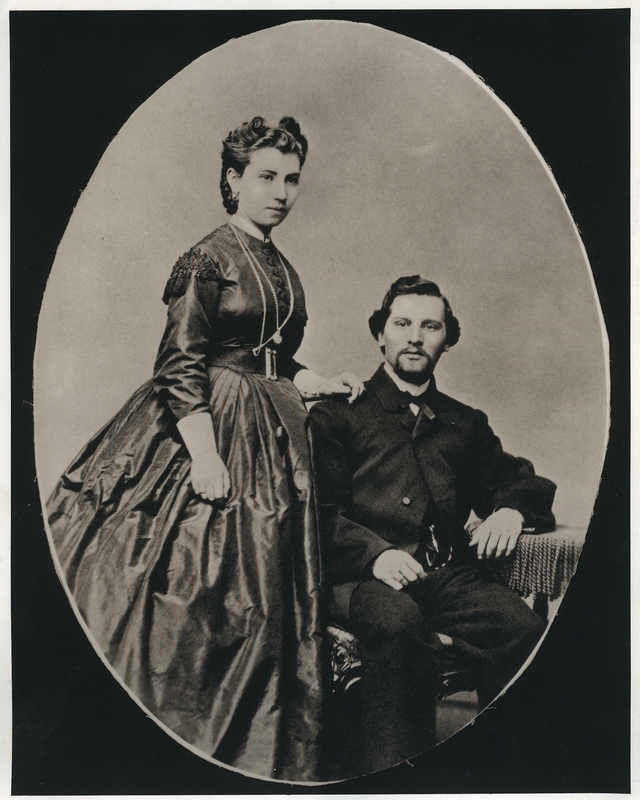 Often, I was able to trace Julia’s story only through the stories of others: her husband Abraham, her children, and other people whose better-documented lives intersected hers. What the psychics did was to provide me with a means of connecting to Julia herself—if not to her actual spirit, then at least to an idea of her. They told me that she liked flowers; that she had once loved another man; that her children were the world to her; that she rocked back and forth in a rocking chair and brushed her white hair and paced the floor and wrung her hands. To them, she was a woman with a story of her own. For all the unreality of sitting in a room talking to strangers who were themselves talking to spirits who resided in the air, my meetings with the psychics made Julia feel somehow more real to me. Question: Are you drawn to stories with an underlying theme of uncertainty and the unknown? Hannah Nordhaus: I am drawn to the hidden and the odd. Both The Beekeeper’s Lament and American Ghost are about strange and unknown worlds—places and stories that we wouldn’t otherwise know much about. Who knew that there are generations of men who haul bees around the country to make a living? Who knew that there are underworld “honey laundering” operations that sell illicit honey? And who, also, knew that the American Southwest was settled with the help of an inbred cadre of Jewish merchants, and that they shipped in their wives from Germany, and that, if these wives proved unhappy, their doctors treated their emotional problems with hysterectomies and the “water cure,” which included the consumption of sixty glasses of water a day. Or that Jewish men were fined, in 17th-century Germany, for beating their wives on Sundays. Or that the iconic newspaperman Horace Greeley held regular séances. I learned so many insanely weird things while researching this book. Which is why I do what I do—I love the obscure. Question: Do you “believe” more or less since writing this book? Are ghosts a matter of belief? Hannah Nordhaus: I would like to believe in ghosts. I love the idea of them, and how they connect us to the past. I love the stories! Since writing this book, friends and readers have told me about all sorts of unsettling encounters. Every single one gives me goosebumps. One woman emailed me recently to tell me about a spirit—or so she believes—that creates lines a line of paperclips parallel to her office door every single night. These stories are just phenomenal, and I want so badly to believe them. But I also understand that belief of this sort is incredibly subjective. No one is going to believe these stories unless they are inclined to do so. I had an experience in Julia’s room—it happens towards the end of the book, and I don’t want to divulge too much. But I will say that it took place around 5 am, and that I was half asleep, and that I have no idea whether it really happened, or whether I was still dreaming or in a “hypnopompic” state, or if I just wanted it to happen so badly that I let myself believe it did. I’m a very just-the-facts kind of person, generally. So it’s hard for me to just up and say, “I believe!” But I’ve heard so many odd stories from so many people who are in every other way completely believable, that I guess—yes, why not believe? What’s the point of not believing? Question: Did you know when you started all the places you’d end up? Did you even have a rough idea of the threads you would follow? Hannah Nordhaus: I knew I would be learning a lot of southwestern history, and I knew that I would be learning a lot about 19th century séances and mediums, but that was about the extent of my certainty as to where my research would lead me. I had no idea that I would learn so much about my family in the New Mexico newspapers from their era, or that I’d find my great-grandmother Bertha’s diary and follow it through the fin-de-siècle German spas that she visited with Julia. Nor did I have a clue that I’d get into the nuances of 19th century gynecology, or that I would suddenly leap forward 50 years in time to tell the story of Julia’s youngest sister Emilie, who was born sixteen years later than Julia, and was unfortunate enough to live so long that she died in a Nazi concentration camp. I kept stumbling across these stories and following them where they took me. But I imagine, if you dug into the archives of every family, you’d find similarly diverse and outrageous threads. Every family, every old building, every gravestone, every street, contains a history that spans generations and continents. Though perhaps not every family has a famous ghost in its family tree. Question: The life and times of Julia Schuster Staab, and her offspring, would have been extraordinary even without the ghost sightings. Do you agree? Do you think you would have been compelled to write this had there been no ghost? Hannah Nordhaus: I have always been interested in my family history and in Southwestern history, ghost or no ghost. And perhaps I would have written about the family, ghost or no ghost—I went to grad school, after all, to study Western history. But the fact is, my great-great-grandmother is a famous ghost, and I simply don’t know how I could have gone about telling the story of her life without contending with the story of her ghost. It is the reason people care about her. Without the ghost story, she would be long forgotten. There were certainly days—weeks—when I wished that Julia wasn’t a famous ghost. Because while the ghost aspect is in many ways the main “hook” of Julia’s story, it made this a much harder book to write. I am a historian by training, addicted to facts, and it was really, really difficult for me to jump off from that place of evidentiary comfort and explore the world of spirits and belief. It’s very out of character for me, and it wasn’t easy for me to toggle back and forth between history and myth. Question: Did all this research into your own family history alter the way you view your own family’s situation today? Do you play the “what if” game from events that happened decades ago? Hannah Nordhaus: Definitely. I had no idea, when I started researching American Ghost, where my family came from in Germany or what happened to those who stayed. I had always assumed that, since they were Jews, they had probably lost distant relatives in the Holocaust. But I knew no names, dates, or individual stories. Then I met grandfather’s second cousin Wolfgang Mueller, who had come to stay with my family in New Mexico as a refugee in 1936, and he told me that his grandmother, Julia’s youngest sister, Emilie, had died in a Nazi concentration camp. And this larger historical tragedy suddenly became much more personal. Had Julia stayed in Germany, had she given birth to my great-grandmother there, had my grandfather, who fought in World War II as an American officer in the ski-toting 10th Mountain Division, never seen New Mexico, who knows what sort of life my family would have lived. In Mary Doria Russell’s wonderful novel Doc, a fictional rendering of another legend of the Old West, Doc Holliday cautions his friend Wyatt Earp against remaining mired in a “ghost life”—the life one might have had, if things had gone differently. Julia’s sister Emilie’s life in Germany—cultured, privileged, surrounded by friends and family—was everything that Julia felt she had lost in coming to America. Emilie was, in many ways, leading the very ghost life that Julia had longed for in her New Mexican exile. But it ended in an unimaginably horrible manner. Question: The “ghost” idea, of being able to communicate with the dead, seems universal. Is it? What makes this story particularly “American” to you? Hannah Nordhaus: Every culture seems to have its ghosts. You’re right, that’s universal. 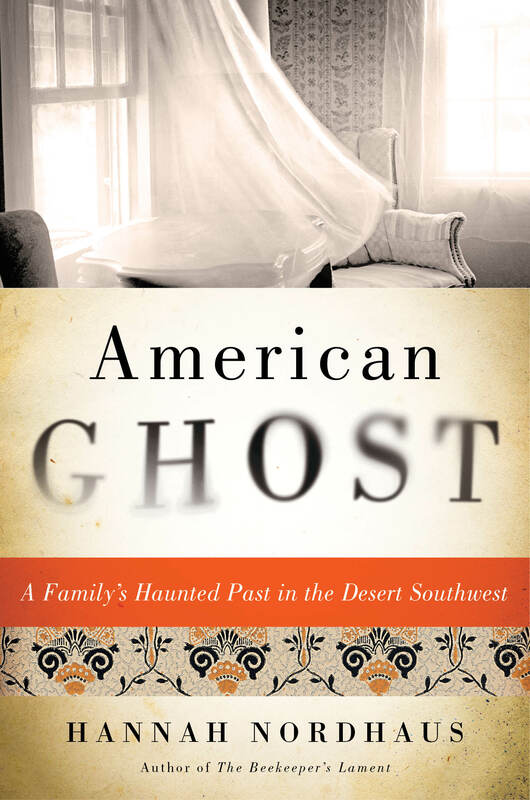 But what made this a particularly American story for me was that that the “ghost” had a family whose trajectory through the 19th century I was able to document. It’s a classic tale of immigrants, of up-by-the-bootstraps success, and of the settling of the Anglo Southwest. In the span of Julia’s lifetime, from her birth in Westphalia in 1844 to her death in Santa Fe in 1896, my German-Jewish family became an American family. It’s a ghost story, yes. But it’s also a classic American story. Hannah Nordhaus: At the moment, I’m playing around with a novel about the Spanish Inquisition—yes, 16th-century Spain. I’ve never written a novel before, and haven’t written fiction for years. For that matter I’ve never been to Spain (and I certainly wasn’t there in the 16th century), so I have no idea if this will stick. It would be much smarter for me to write something similar to my previous books. But nothing makes me more claustrophobic than a niche. I like to move around. I like to try new things. That said, there are some similarities between American Ghost and my proto-novel-in-progress. Both are grounded in history (the novel is based on the true story of a young woman who was tried by the Inquisition). And both tell the story of women who left no records of their own. Their lives have been, by necessity, interpreted by others. Had not certain life circumstances conspired to place them in the historical spotlight, they would be entirely forgotten. That’s a Salman Rushdie line (from The Satanic Verses) but it’s a perfect description of what Hannah Norhaus sets out to do with American Ghost—chase down some unfinished business. In this case, the ghost is from her own past—a great-great-grandmother whose life and death deserved, well, fleshing-out. The woman was Julia Schuster Staab. Her life began in Germany. It ended half way around the world, as the lonely and disheartened wife of a Jewish dry goods merchant, in New Mexico. Julia Schuster Staab’s life (1844-1896) forms the heart of American Ghost. So does Julia’s ghost—a ghost first seen by a janitor at La Posada (“place of rest,” not hardly) in the 1970s. Other odd occurrences, straight out of heebie-jeebie land, soon followed. Even without the added wrinkle of the (possibly) paranormal mixed in, the story of Julia Schuster Staab would have been ample on its own for a fascinating account of Santa Fe and settling the Southwestern frontier in the second half of the 19th Century. Julia’s husband Abraham amassed the largest fortune in Santa Fe and was an active civic leader so we see Santa Fe take root out on the western fringes of the “prairie ocean.” Some of the tales here about the multi-cultural aspects of Santa Fe’s early days, particularly that a Jew played a role in helping Archbishop Jean-Baptiste Lamy (yes, the Death Comes for the Archbishop guy) with his cathedral construction, are fascinating. The ghost question—and our collective beliefs about the spirits and apparitions—add another layer of intrigue to this brilliant book. Nordhaus traces threads wherever she can find them and what unfolds is a fascinating portrait of a stranger in a strange, barren land. American Ghost follows the history of Julia’s life, including her roots in Germany and life in the booming outpost of Santa Fe. The threads lead her back to Europe (how “American”) and Nordhaus’ research and digging in Germany are as colorful and as haunting as anything else in this account. Interspersed with the historical detail are Nordhaus’ takes on modern-day efforts to detect or stay in touch with the spirit world—ghost hunters, psychics, and drugs (medical marijuana). Her account of a ghost tour at the Stanley Hotel in Estes Park is hilarious. The wisps come together. As both a human being and as a lingering spirit, Julia left a powerful story that comes into sharp focus in American Ghost. In the hands of Hannah Nordhaus, the resulting narrative is indelible.